The ripe tomatoes have landed with a bang! Our target date for the first harvest is early July; they are right on time! We grow a rainbow of tomato varieties. Some of our favorites include: Brandywine, Hawaiian Pineapple, and Red Zebra. Early Girls are, of course, an all-time favorite known for their sweet, salty, juicy flavor. They are a hybrid type rather than an open-pollinated variety. 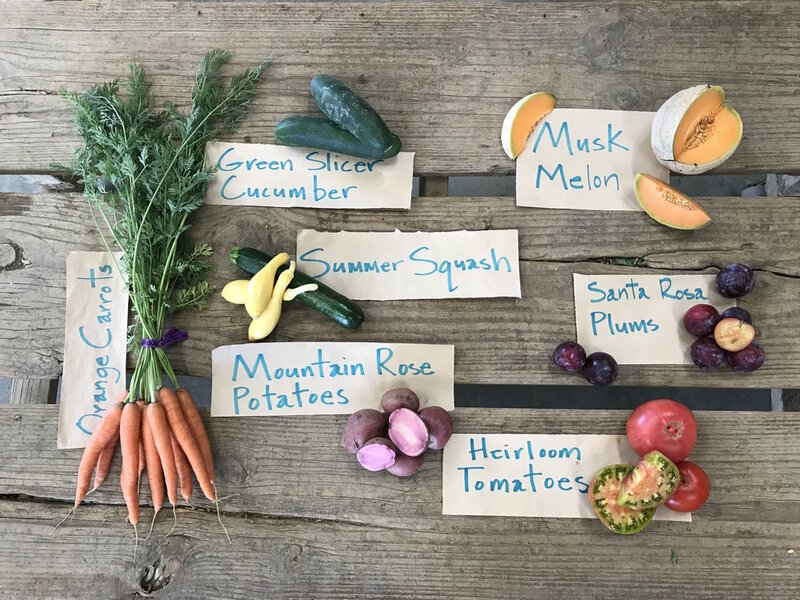 The heirlooms types are all open-pollinated meaning that their seeds can be saved to plant tomatoes that will be genetically similar to the parent seed. Because Riverdog Farm is certified organic, the seed we buy cannot be genetically modified. To learn about the difference between GMO and hybrid seeds visit: http://www.smallfootprintfamily.com/hybrid-seeds-vs-gmos.